/ Air Wines / Highway to the Danger Zone…! Flying and wine don’t normally go hand in hand, but at the Pima Air and Space Museum aka the AF Graveyards in Tucson, AZ I figured why can’t they! On the ground of course if you are the Top Gun fighter pilot, named Tom Cruise. Top Gun was the first movie that came to mind when I came up to an F-14 Tom Cat Fighter Plane and that had me thinking- what wine would Mr. Tom Cruise have had after a great flight? I’m guessing something nice and smooth like a Sacre Bleu Pinot Noir and a little something sweeter after to woo the girl, maybe a Michele Chiarlo Nivole Moscato D’Asti 08′ … yumm!!! Take a peak at this video and let me know what’s in your glass after a great flight; or onboard if you’re in a seat other than the pilots seat! PS stay tuned for my AIR FORCE 1 Edition tomorrow you won’t want to miss! Calling President Obama - What's in Your Glass? Cool bit of pop-culture history you’ve taken us to Jess. AIR FORCE 1??? You’re gonna rock the show with that! Thanks Martin! 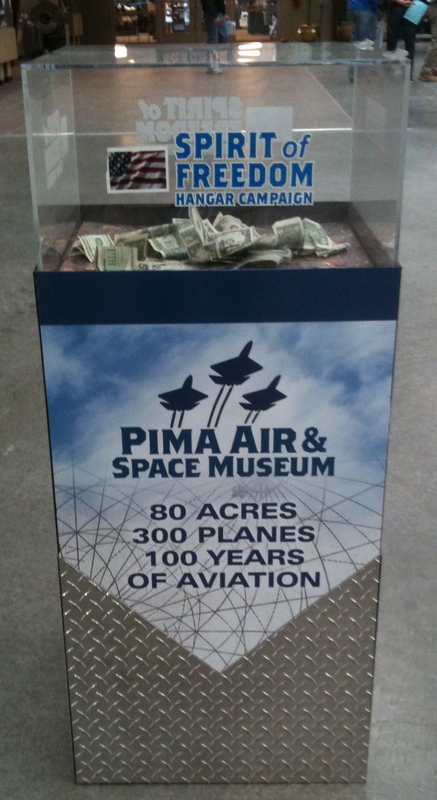 yea that Pima Air and Space Museum was awesome!